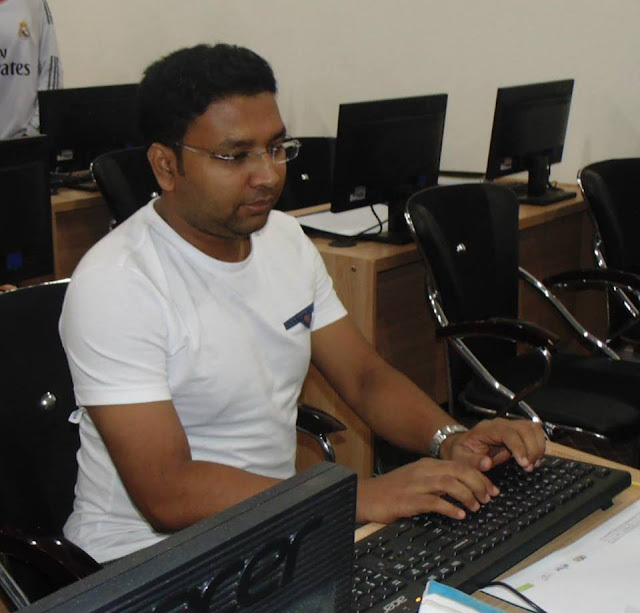 Venue: Bangladesh Association of Software & Information Service (BASIS) at Basis Institute of Technology & Management (BiTM) BDBL Bhaban,12 Kawran Bazar, Dhaka 1215, Bangladesh. 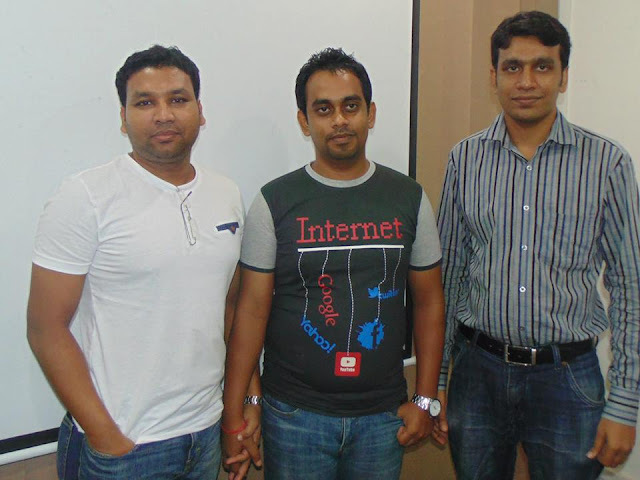 Md Masum Billah attended SEO Class at 4.30pm and our Lead Trainer Alamin Chowdhury also. 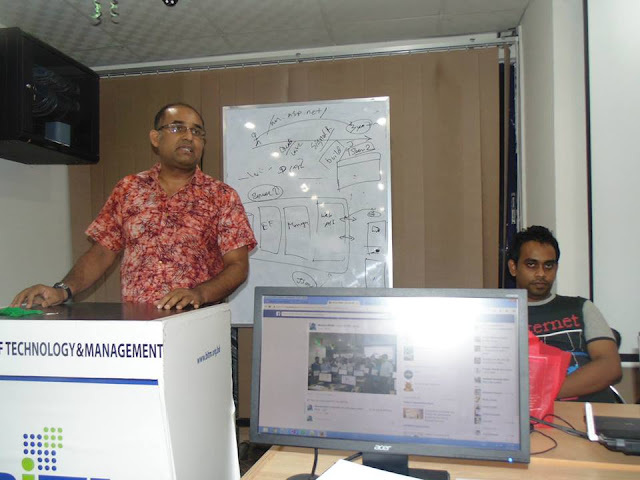 We are around 35 Students attended this Class that day. First class so we do know each other. Everybody new for each other. 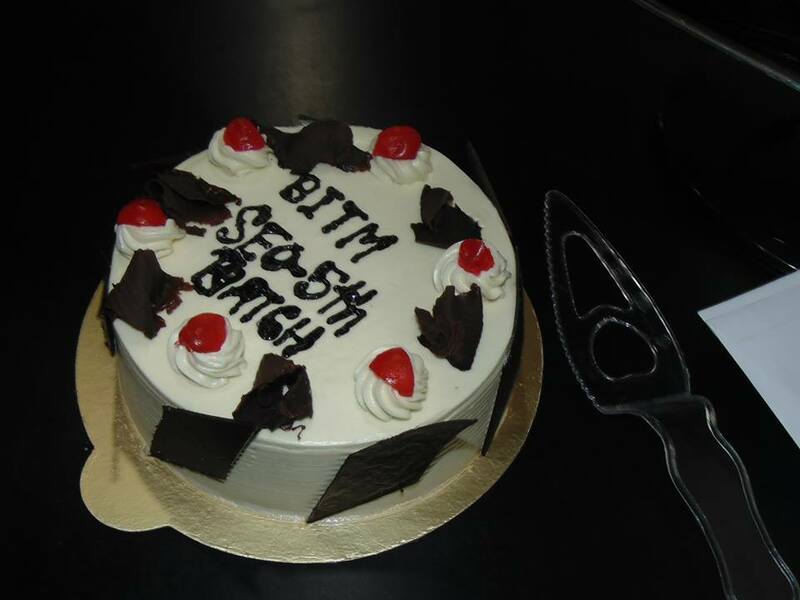 Our Teach Started his Class right time 5.00pm. First class so we introduce each other. Our Search Engine Optimization (SEO) Class was continuing weekly three days, Sunday – Tuesday – Thursday. Masum Billah was attending all Class regularly. In the meantime I got few friends like as: Noman Sarker, Ohidul Haque Milon , Kamrul Islam, Kazi Dipu, Tariq Bhai, Kajawl Bhai, Bashar Bhai etc. 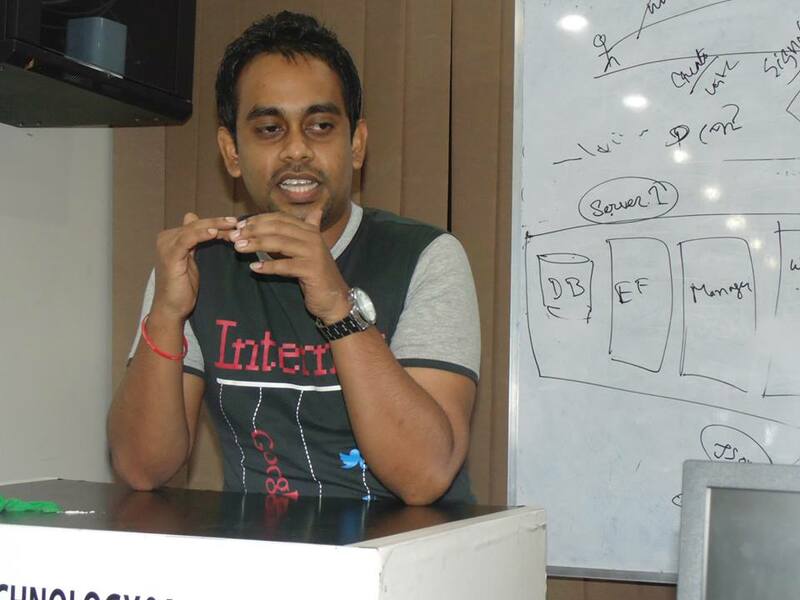 Every Class our Lead Trainer Alamin Chowdhury discussed us about what is SEO? 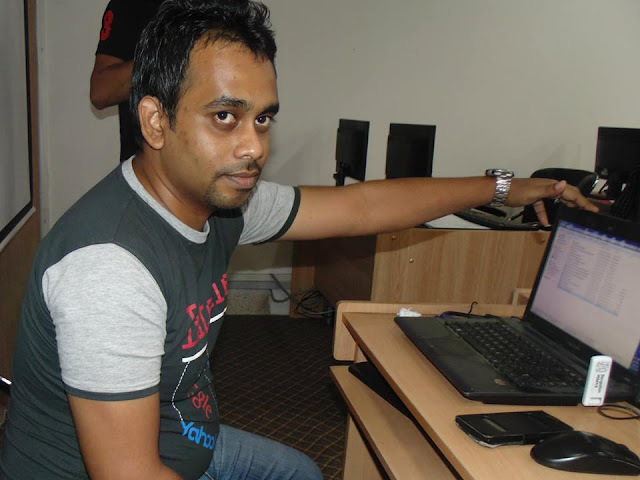 How many type of SEO, Apply of SEO work, Keyword Research, Update SEO, Website, Google Algorithm, SEO Tools, Blog etc. 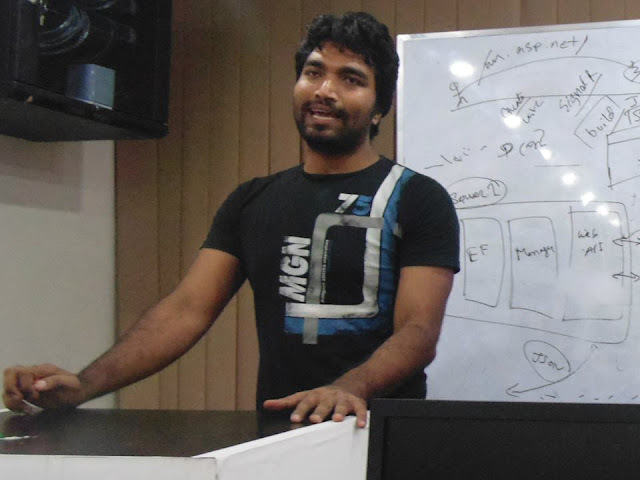 We were enjoying class. Weekend we have given home task and learned lots of Update SEO Work. 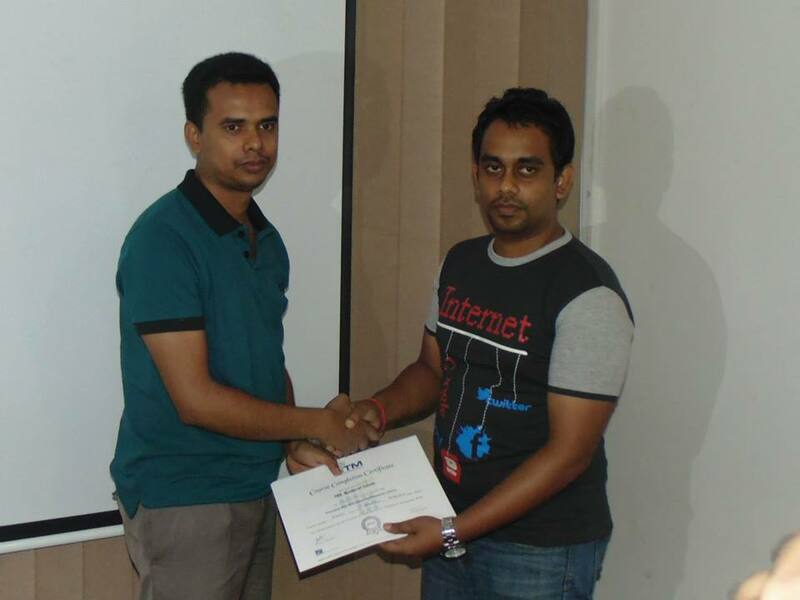 Alamin Chowdhury very friendly SEO Trainer. 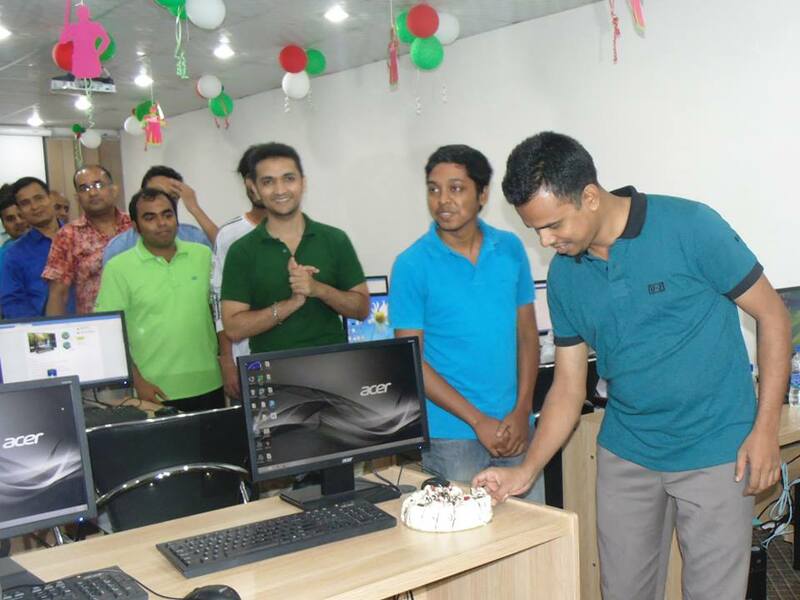 He always help us SEO technique. After the SEO Class time we all discussed about SEO and Online Market Places work. 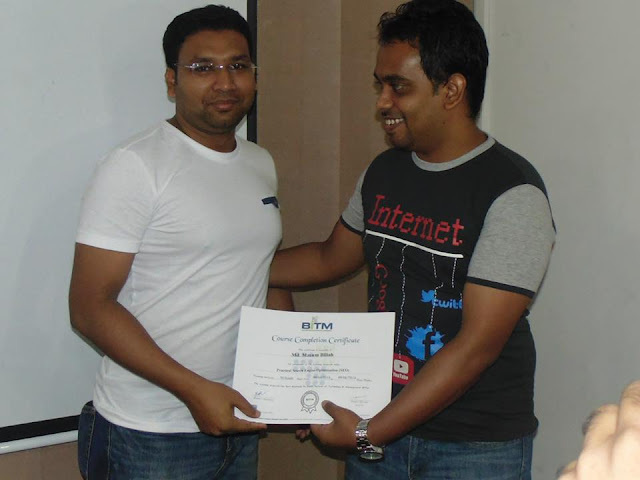 Alamin Chowdhury also attended our group discuss and always helped us. 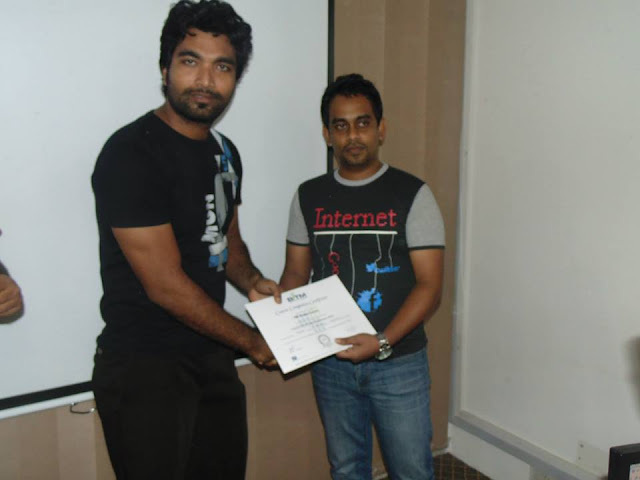 Date: 9th June 2014 (Monday) our Last SEO Class and That day Masum Billah has given a short Speech about SEO Work. After that Noman Sarker, Tariq Bhai has given Speech also. 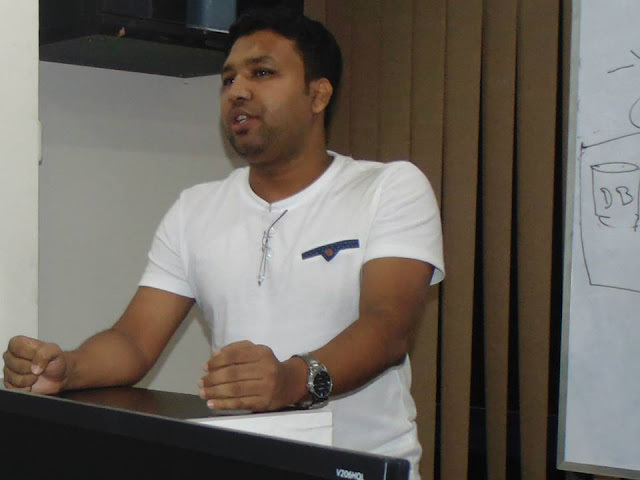 At Last our Lead Trainer Alamin Chowdhury Bhai has given finishing Speech. 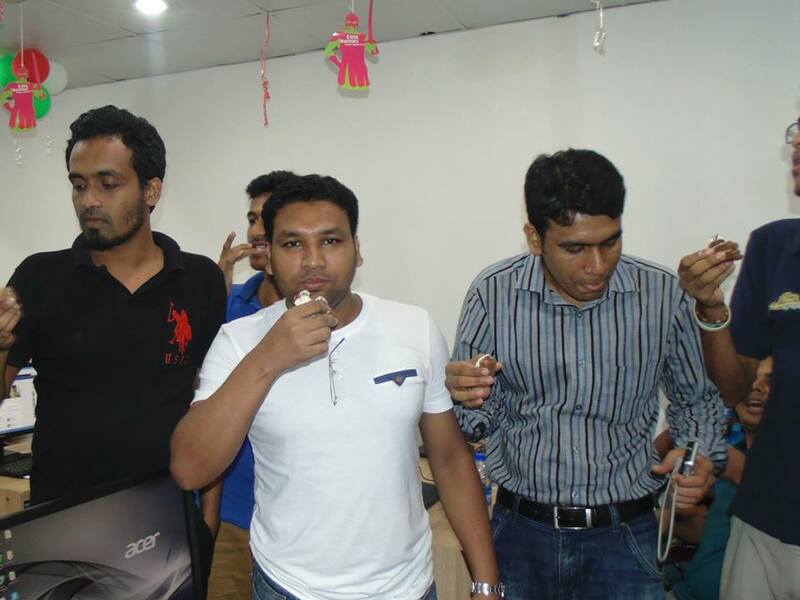 Date: 12th June 2014 (Thursday) We have arranged SEO Party and 5th batch SEO Cake as well as well known Barani from Old Dhaka. 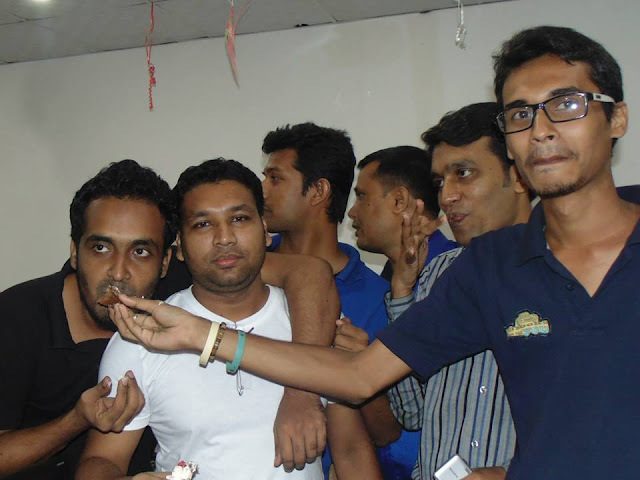 That day we enjoyed very much as well as our teacher also. After Finished the Party our Leading Trainer Alamin Chowdhury has given us Certificate. 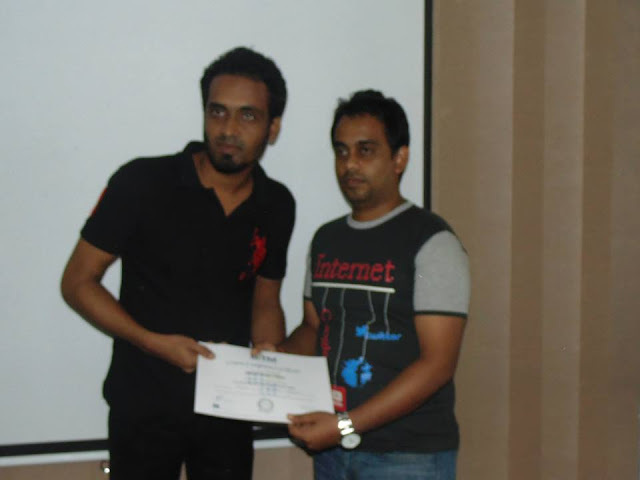 Md Masum Billah and all guys got SEO Certificate. 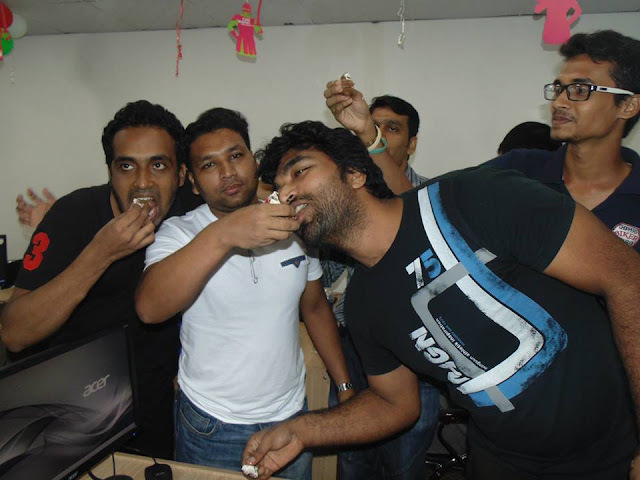 We really enjoyed this SEO Party and regular SEO Class.